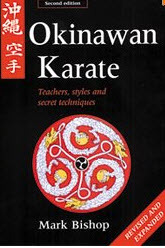 Back In The Gi » Blog Archive » Quite possibly the stupidest thing I have ever read about karate. I don’t know Mr. Bishop but I have his book in which he trashes grand Master Meitoku Yagi based on his observation of A class. I did not agree with his writing on Meibukan Goju-ryu then. 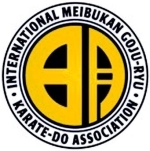 As a 25 year practitioner of Goju-ryu Meibukan karate, Sanchin is still my most favorite kata and the health benefits have been awesome. Ryan, I can hardly wait for your review of the rest of the book! This section at least sounds like the combination of ‘old wives tales’, hearsay, an abominable knowledge of human anatomy, physiology and disease etiology all wrapped up in the most subjective type of observation leading to conclusion I have ever heard. 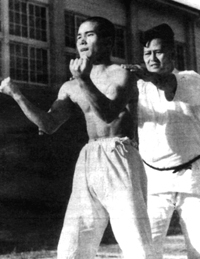 Anyway, I think I will take my chances and continue to practice Goju-ryu. I believe there are much harder things on your heart such as doing nothing, and likely more risky ways and behaviours for contracting TB and developing cancer! See you in the dojo.